Special characters that you type every now and then can really be tough to remember. There are many of them, and each has a special string of keyboard actions you need to type to create them. This guide is available to download as a free PDF. Download Shortcuts For Special Characters [Mac] now. Feel free to copy and share this with your friends and family. Fear not! 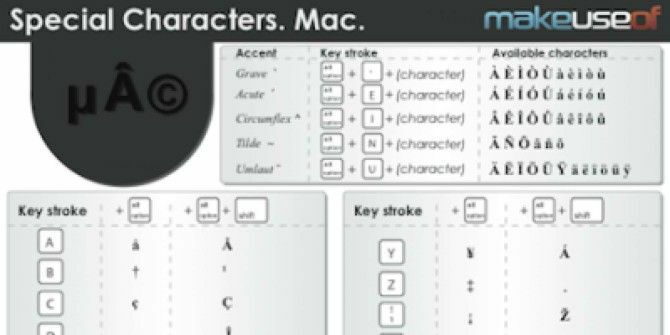 Our handy cheat sheet shows you how to type those special characters on one useful page. Keep it next you at all times when you’re on your computer, and you’ll know how to type all of those special characters any time you need them!